BaByliss for Men is one of the leading manufacturers in the electrical grooming appliance industry and it’s not hard to tell why. Their beard trimmers perform rather well on a consistent basis and men who are on a budget know they won’t have to spend an arm and a leg just to get a good quality trimmer. 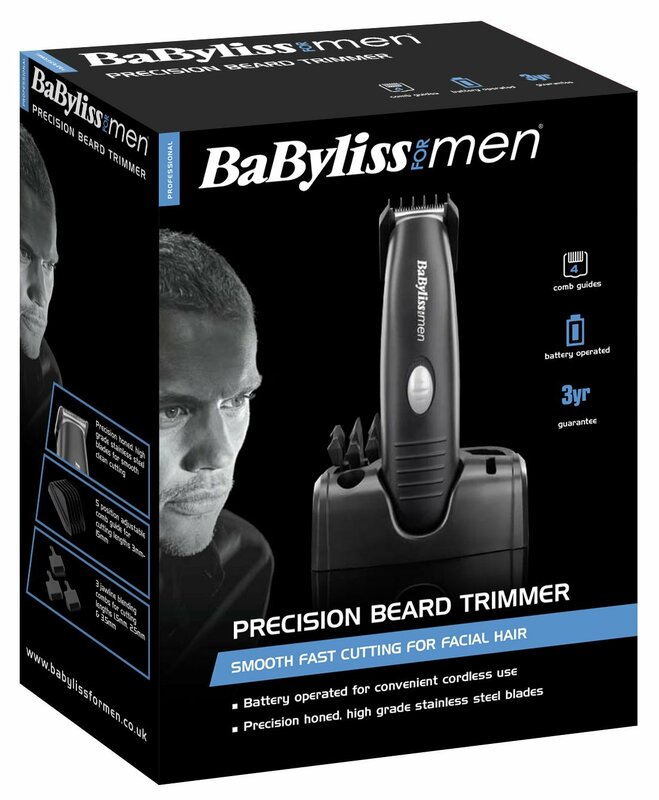 The BaByliss For Men 7107U Precision Beard Trimmer is perhaps one of the company’s most unrated grooming tool. It has left many buyers puzzled about how a low-priced device like the 7107U could possibly be so well-designed. From multiple guide combs and a storage stand to laser sharp stainless steel blades and convenient cordless operation, this trimmer has plenty of great features to offer. Whether you’re trying to maintain a full beard, short stubble, or the clean-shaven look, BaByliss for Men’s 7107U precision trimmer can help you style your beard whichever way you desire. Much of the flexible usage you get from this trimmer comes from its interchangeable comb guides. The main comb guide can be set at five positions to cut hair at different lengths, with the lowest and highest setting being 3mm and 15mm respectively. Depending on the desired length of hair you want, the comb guide can be adjusted in increments of 3 mm. When removed, you’ll get a close shave that leaves behind about 1mm of hair growth. Included also in the package are three side-burn and jaw line blending-combs. The cutting range for these combs is 1.5mm to 3.5mm, which can be adjusted in increments of 1mm. As expected, the jaw line comb guides are much smaller. This makes it possible to create fine lines along your sideburns to get that tidy and profession finish. If you’re one of those men who always misplace grooming accessories all the time, the storage stand that comes with this beard trimmer will prove to be a handy accessory. The stand is designed to hold the trimmer plus other accessories such as the cleaning brush, lubricating oil, and comb guides. Keeping your grooming accessories organized will now be an easier task thanks to the included storage stand. The diamond-sharpened blades on this beard trimmer can be easily removed and cleaned. First, detach the comb guide in use, rinse it under running water, and leave it to air dry. Next, simply remove the cutting head and remove any remaining strands of hair from the blade using the provided cleaning brush. When used regularly, the BaByliss for Men 7107U precision beard trimmer doesn’t require oiling. However, you may have to apply a few drops of lubricating oil supplied by BaByliss for Men on the blades if the appliance hasn’t been in use for a prolonged period of time. This beard trimmer was designed with ease of use in mind. It features a compact design that’s light on the hands. It’s also battery operated, allowing users to enjoy the flexibility of cordless use. 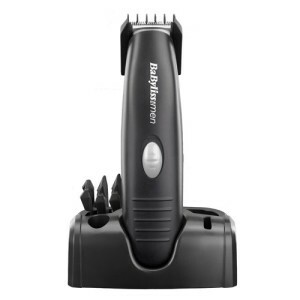 BaByliss for Men’s 7107U beard trimmer is 11.4 ounces in weight and has guide combs in size 2, 3, and 4. The original batteries run out of charge quickly. However, you can increase run time by having some spare batteries or buying higher quality rechargeable batteries. The BaByliss for Men 7107U precision beard trimmer has elicited a mix of reactions from buyers. However, many users believe that it offers good value as a budget trimmer. To date, a large majority of buyers have reviewed this trimmer at many eCommerce sites and given it quite high ratings. So, this should give you an idea of the quality you can expect when you purchase this trimmer. If you’re in the market for a basic and low-priced beard and mustache trimmer, the 7107U BaByliss for Men is one of the models to include on your list of options. It gets the job done, cuts in a variety of lengths, looks and feels light, and is easy to use. Learning how to trim evenly with it may take some getting used to but after initial adjustments, it performs well.